Closing the gap: ASEAN Inter-Parliamentary Assembly secretary-general Isra Sunthornvut (right) speaks to Thai Ambassador to ASEAN Phasporn Sangasubana (center) alongside PT Humpuss Intermoda Transportasi board of commissioners chairman Theo Lekatompessy on the sidelines of a seminar titled ASEAN 2019 Under Thai Chairmanship in Jakarta on Wednesday. Beijing has announced that its so-called carrier killer anti-ship missile has been deployed to the country’s northwest, just a day after the U.S. Navy sailed a warship past disputed islands in the South China Sea. The construction of a trade corridor that links western China to Southeast Asia is expected to speed up as more western Chinese provinces and countries along the route join the project. The ASEAN smart education learning market is extremely fragmented on account of a large number of educational institutions offering very similar education. It is therefore not surprising the competition level runs high in the Asians modification and learning market. The tighter scrutiny by the United States on all Chinese technology firms marks the start of a long drawn-out policy – something that Asean and Hong Kong will have to contend with, political watchers say. Tourism consultant IPK International forecast that outbound travelling in Asia will grow by 6 percent in 2019, equivalent to the global average, according to its World Travel Monitor report. Emerging Asia is primed for volatility. The new year has brought hints of recovery, thanks to weaker oil prices and hopes of a more dovish U.S. Federal Reserve. 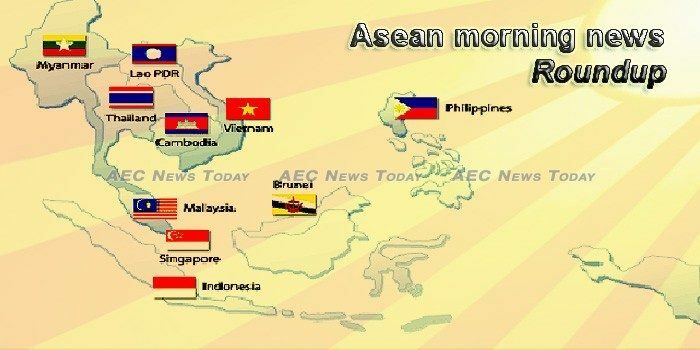 In the insurance industry, it is common knowledge that The Association of Southeast Asian Nations (ASEAN) region presents enormous growth potential, fuelled by the key characteristics of low existing insurance penetration rates, rapidly growing wealth and an expanding middle class, and the exposure of the region to the threat of natural catastrophe. 2018 was the year e-commerce established itself as one of the region’s fastest growing sectors. The United Kingdom will open its mission to ASEAN in Jakarta in 2019, according to UK Permanent Under-Secretary at the Foreign and Commonwealth Office, Sir Simon McDonald. Vietnam is ready to host the 2019 ASEAN Tourism Forum (ATF), which will take place in Ha Long city, in the northern province of Quang Ninh, from January 14-18, announced the Ministry of Culture, Sports and Tourism (MCST) at a press conference held in Hanoi on January 9. THE ASEAN-Japan Centre (AJC) will be hosting the 3rd ASEAN-Japan Women Entrepreneurs’ Linkage Programme (AJWELP) in Kuala Lumpur on January 29, as a business presentation event to link novice women entrepreneurs with supporting companies, mentors and others. As we head off for the annual get together known as the ASEAN Tourism Forum, for a round of reunions with travel trade friends, it’s time to do a little homework on what ASEAN tourism intends to deliver during show week, 14 to 18 January, in the picturesque Halong Bay venue. The Lao government expects domestic and foreign private investment to climb to 23,086 billion kip (over 2.72 million U.S. dollars) in 2019, accounting for 52.06 percent of total investment or 13.95 percent of GDP, local media reported here on Thursday. Bank employees will soon enjoy 0% interest in their housing loans for the first RM100,000. The widely unanticipated ousting of Malaysia’s government last May not only left political analysts scrambling for explanations, it also had economists wondering what was in store for the economy. Four defence volunteers were shot dead inside a school in Yarang district shortly before noon on Thursday, as the violence shows no sign of easing in the far South. DEPUTY Prime Minister Wissanu Krea-ngam yesterday said the election will take place no later than March and the Royal Decree will be issued within this month. The baht’s value is projected to appreciate in the medium to long term because of slower interest-rate normalisation in the US and adverse effects from the US-China trade dispute, says the Federation of Thai Capital Market Organisations (Fetco). Vietnam’s economic growth rate is expected to grow by 6.9% in 2019, up 0.1% compared to the target set by the 14th National Assembly, said Director of the Vietnam Institute for Economic and Policy Research (VEPR) Nguyen Duc Thanh. The taxation sector collected more than 1.14 quadrillion VND (49.46 billion USD) in tax for the State budget in 2018, equal to 107.2 percent of estimates and up 12.3 percent from 2017.